Bitcoin is rising without a reason? 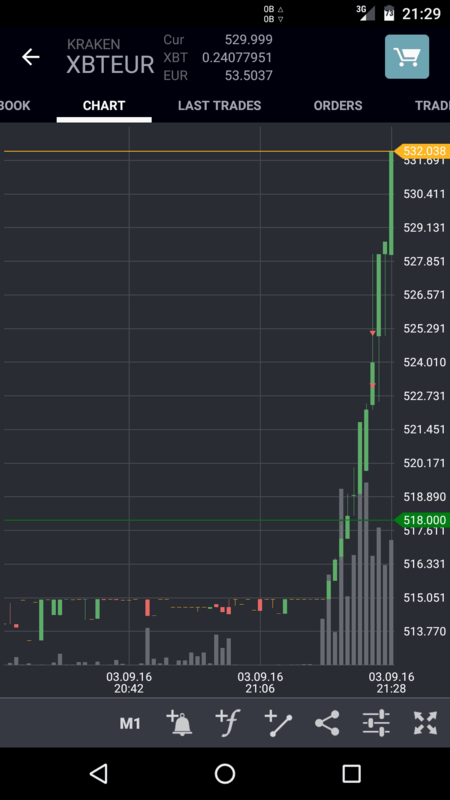 During the week I bought some bitcoin at 512 euro to use them on purse, but look at the graph, the value rose a lot in a few minutes! Look also to the volume!! I wonder what’s going on to let people trade so many on a Saturday afternoon!